PRP-Platelet Rich Plasma is a procedure that involves withdrawing a patient’s blood, processing it to isolate the platelet-rich plasma (PRP), then re-injecting it to erase wrinkles and create a more youthful look. Used by celebrities such as Kim Kardashian, the skin tightens, and glows with color, and scaring softens for a beautiful younger and very natural result. First, the technician draws about 20cc’s of blood, using the latest technology to isolate platelets from that blood all within about 30 minutes in the office. 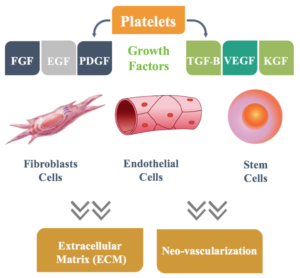 Then they “activate” those platelets to cause the release from the platelets of at least 8 growth factors that would normally be used to heal injured tissue. These growth factors work like magic to cause increased collagen & new blood flow. In this procedure the doctor can sometimes first use a Hyaluronic Acid (HA) filler (like Restylane®) in a very specific way to sculpt a younger appearing face–while still keeping the shape natural. The doctor will then inject the patient’s own PRP growth factors into the face. These growth factors then activate multi-potent stem cells already in the skin (tricking them into “thinking” there’s been an injury and new younger tissue should be generated). The multi-potent stem cells then develop into new collagen, new blood vessels, and new fatty tissue trying to “repair” the skin that was never injured! The result…younger-appearing skin! 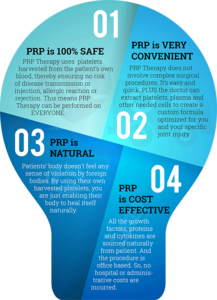 The effects of the PRP procedure continue to improve for 2 to 3 months and last for at least 1 to 2 years! The whole in-office procedure takes about 60 minutes with minimal discomfort and downtime. PRP for stretch marks is based on a natural process that involves a series of regeneration & remodeling steps in the body. When the external tissue injury occurs, the body triggers a response to increase the production of “signal proteins” that can be used at the trauma site. 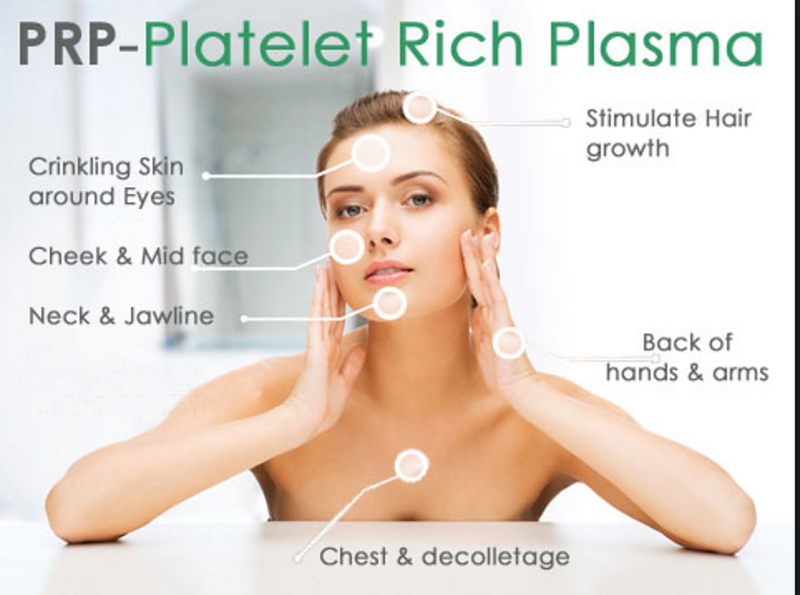 The provider injects PRP into the collagen under the skin. 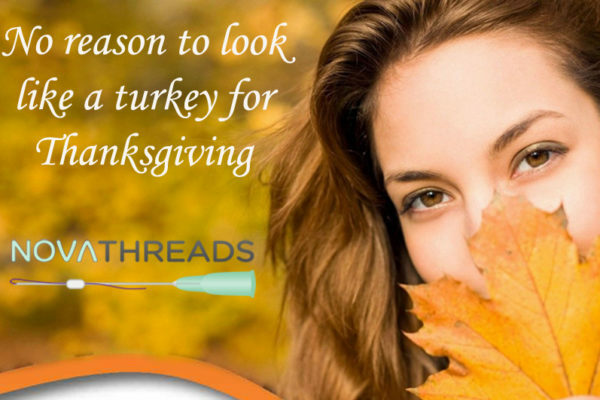 The injections release growth factors and cells into the areas where the collagen has been stimulated. Once the PRP has been injected, additional PRP will be used as a topical application. The natural healing cascade process will increase the amount of fresh collagen production as the release of growth factors increases. This enables the skin to become smoother and tighter. PRP is combined with Micro Needling or targeted injection therapy to treat a wide range of skin imperfections, including stretch marks. The areas commonly treated with PRP for stretch marks include the abdomen, thighs, buttocks, and upper arms. This procedure is purely for rejuvenation purposes. It’s for women who’re happy with their breast size but would love to rejuvenate the skin for youthful looks, restore fullness for healthy breasts, and regain sensitivity in areas where it’s diminished. 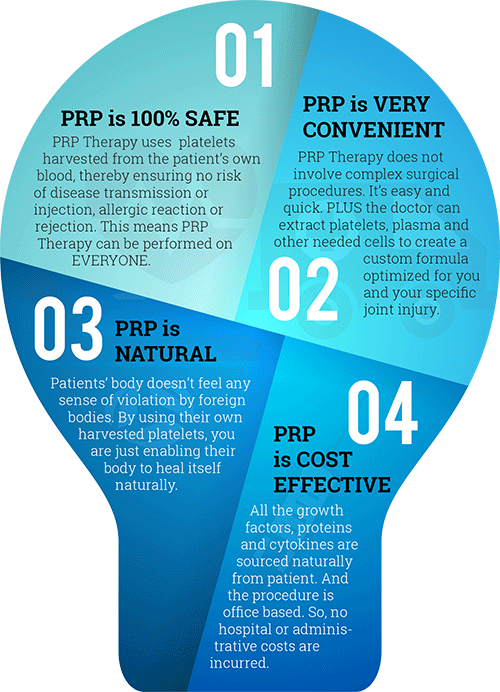 The procedure is same as the other PRP procedures. It not only enhances the looks, it actually produces new tissues in the area because of all that growth factors resulting in better cleavage and fullness. Using numbing cream and a very small needle (for almost no pain), the physician injects the woman’s own growth factors back into her breast in a particular way. The multi-potent stem cells then develop into new collagen, new blood vessels, and new fatty tissue trying to “repair” the skin that was never injured! The result…younger-appearing skin and increased volume of fatty tissue! The effects of the procedure continue to improve for 2 to 3 months and last for at least 1 to 2 years! You can have the procedure at noon and then go out to dinner that night! 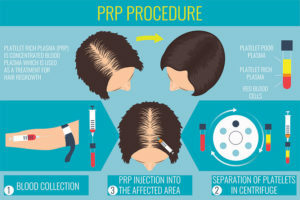 Using the same principles and procedures as other PRP-Platelet Rich Plasma procedures, PRP has been shown to have great success with restoring lost hair in men and women! Want to know more? Book your Free Consultation Today! Previous Post Lift Your Spirits & Your Face! Next Post $200 off and beat the 2018 price increase.